We at Jeffs & Jeffs, P.C. have been assisting businesses and corporations since 1957. Our experienced and trusted team of attorneys can offer you counsel on a variety of corporate legal matters from transactions to mergers. With combined experience of 175 years, you can rest assured that you are in good hands when you choose our firm. 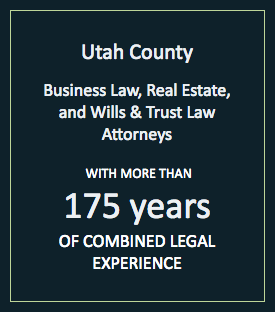 Our Provo attorneys take great pride in our well-earned reputation for providing clients with sound advice and high-quality service. In addition, other members of the legal community frequently refer our firm to clients for their corporate legal problems. Our business-savvy attorneys provide personalized legal assistance to clients at every stage of the transaction process. In representing you, we stay focused on protecting the best interests of your company. Additionally, with extensive experience in contract and corporate law, our Provo lawyers understand the importance of negotiating deals in a manner that is fair and cost-effective for our clients. 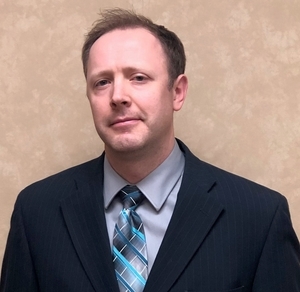 As skilled business law attorneys, we at Jeffs & Jeffs, P.C. are equipped to assist you with any issue you may have regarding your business in Utah County. We offer sound advice to start-up businesses and strategic guidance to well-established corporations alike. Additionally, our attorneys have an in-depth knowledge of contract law in Provo and can help in the drafting of shareholder agreements, partnership agreements and employment law contracts. Part of our practice is also dedicated to intellectual property law and we are therefore able to offer you competent counsel regarding copyrights, trademarks, and licensing. The law office of Jeffs & Jeffs, P.C. is known throughout Utah County for providing businesses and corporations with reliable guidance on a variety of issues. To speak to one of our highly qualified attorneys, please contact us today by phone at 801-373-8848 or via our online form. We have flexible hours, free parking and are located two blocks from the Provo courthouse and one block from the new Latter-Day Saints Historic Provo Temple.